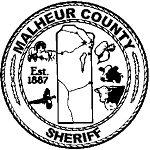 Malheur County Sheriff patrols as much of the county as possible. If you have questions on these recreation sites please feel free to contact the Sheriff’s Office. We will try and give you the most acurate information possible. (541) 473-5125. Kids under the age of 16 must wear a bicycle helmet by Oregon State Law. Parents can go to the following website to see how to fit a helmet on your child. Teaching our children safety is not just up to teachers and law enforcement. Parents are responsible to teach their children and make sure that they understand the rules. Car seats are a MUST. Here is a website on car seat safety. If you need further assistance with installing your car seat please contact your local law enforcement agency and they will direct you to someone that can help. This link will show you a calendar when the next person from ACTS will be in our area. Safety around the house. Kids here is a link to some fun things to work on when you’re stuck in the house because of bad weather or grounded.